There is no end to the troubles of Lalu Yadav, the chief of the Rashtriya Janata Party that was part of the Bihar government till Chief Minister Nitish Kumar dumped its ally in July and opted to go along with the BJP led by Sushil Kumar Modi in the state. 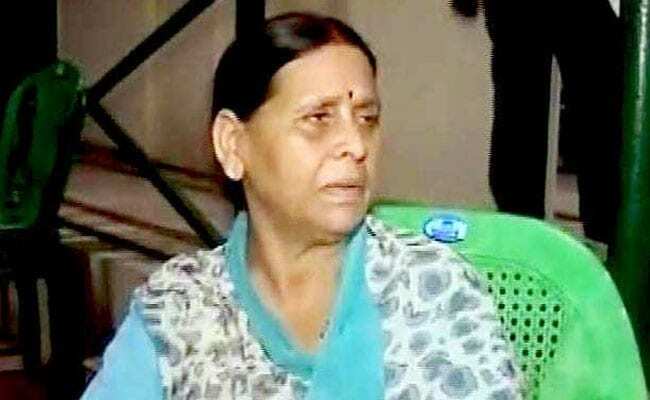 PATNA: Keeping up the pressure on Bihar politician Lalu Yadav's family that has been accused of corrupt land deals, the Enforcement Directorate on Tuesday summoned Lalu Yadav's wife Rabri Devi to its Delhi office next week to record her statement. The agency, along with the Central Bureau of Investigation and tax authorities, are probing charges that Lalu Yadav, as the country's railways minister in 2006, had facilitated a contract to a private company to run hotels at Jharkhand capital Ranchi and Odisha's Puri after receiving a bribe in the form of a three-acre plot in Patna, where a mall is being built. Tax authorities have already attached the land under the tough law to curb proxy ownership of assets and the Union Environment Ministry had halted construction of the mall for violation of environmental laws. The CBI had raided the Yadav household after registering a case in July this year. Tax officials and the Enforcement Directorate had moved in soon after. The income tax authorities are looking into reports that Lalu Yadav's family had violated the law against ownership of assets through proxies while the directorate is investigating allegations of money laundering. Rabri Devi was last questioned in this case on 29 August, two days after Lalu Yadav, 69, organised a public meeting to rally opposition forces against the BJP-led NDA in Bihar capital Patna. That was by the income tax authorities. Sources said the Enforcement Directorate had summoned her on next Tuesday, 26 September. Husband Lalu Yadav and son Tejashwi Yadav, who became the Leader of Opposition in the assembly, are also expected to be questioned by the CBI a week later, in early October. Lalu Yadav has called the multiple cases that his family is facing as "political vendetta". But there is no end to the troubles of the chief of the Rashtriya Janata Party, which was part of the Bihar government till Chief Minister Nitish Kumar dumped them in July and opted to go along with the BJP led by Sushil Kumar Modi in the state. Mr Modi, who had first leveled allegations of corruption against Tejashwi Yadav that led to the CBI probe, continued the offensive. On Tuesday, the BJP leader who was appointed Deputy Chief Minister after his party extended support to Nitish Kumar, released documents that showed the mall being constructed by Lalu Yadav's family was being built without any approvals from the building department.